Over the last three months, we celebrated the marriage of some of our close friends. On September 3, Joe and Josie Vecchiarelli tied the knot and made it official. Donny and I were both honoured to in the bridal party and loved sharing their special day with them. 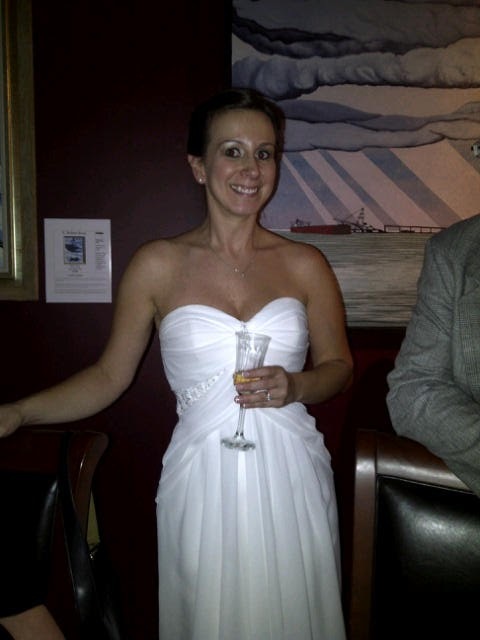 One month later, on October 1, Jennifer Harrison and Marc Peirce celebrated their marriage at Wellington Gallery. 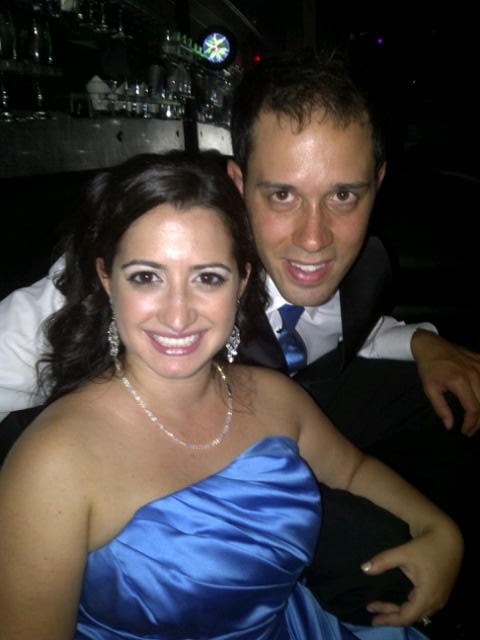 Jennifer and Marc actually met at our wedding at The Club at Bond Head, where Marc works! Such a wonderful twist of fate to bring these lovebirds together. 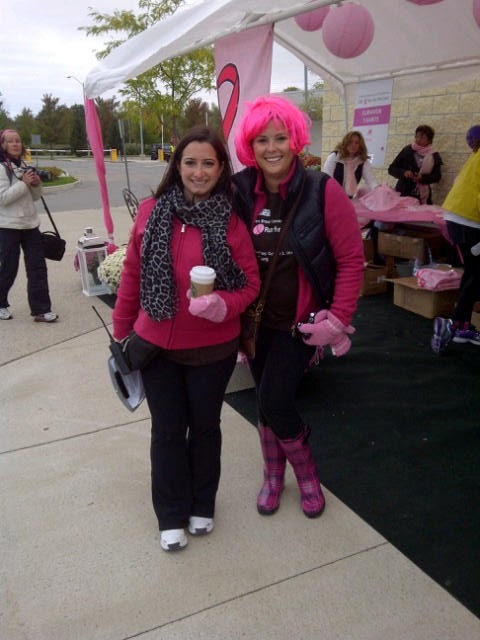 October 2, 2011 was a big day for me - it was the 3rd annual Canadian Breast Cancer Foundation CIBC Run for the Cure in York Region. As one of the volunteer Run Directors, it was really important for me to make this day successful and fun! It was absolutely FREEZING that morning, but thousands showed up to run or walk for this amazing cause. Our event raised more than $516K as of October 2 with the donations still coming in. I'm so grateful for my fellow committee members, especially my friends and family who were able to help support the team and me! 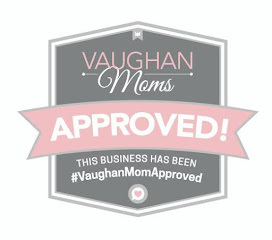 Though not as monumental as raising more than half a million dollars for breast cancer research in Canada, my little peanut (my car) had a milestone last month. 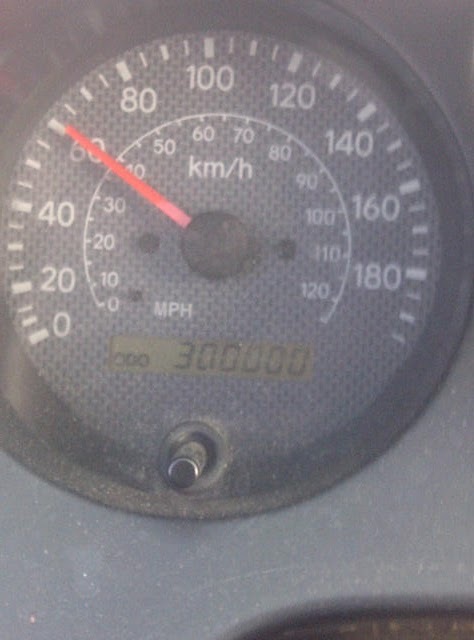 It's the first time I've hit 300,000 kilometres with a vehicle. My little RAV4 basically grew up with me and has been with me through university and beyond; I'm going to miss the girl when she's gone, but she's served me well all these years. Tear. You can't finish a summer without making some preserves. Of course, that usually means tomato sauce, which I LOVE and it's a tradition for which I'm proud to continue. 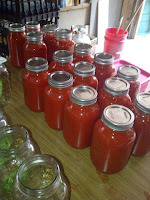 This year, we outdid ourselves and made 13 bushels of tomatoes, amounting in a few hundred jars of sauce for the year. So many people have abandoned this long-standing Italian tradition for using canned tomatoes, but it's not the same thing! It's one day of hard, hard work for a year's worth of saucy goodness. 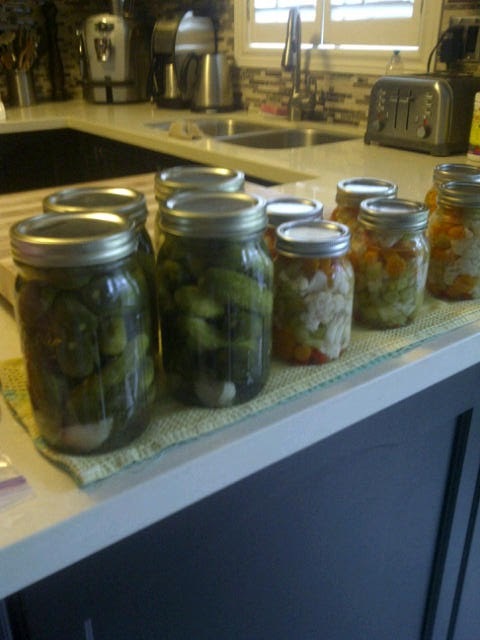 This year, for the first time, I decided to make pickles! My MIL makes them all the time, so I thought, why not? I also had some veggies, so I made a giardiniera, which is basically pickled veggies. I'm so happy I did because I'm a crazy person for pickles and pickled veggies. Last week, I also made hot banana pepper rings too! Lastly, the start of fall meant the official kick off of knitting season. I've been a busy bee knitter over the past few weeks and can't wait to start some baby stuff for me! I was thrilled when I finished this slouchy hat in a beautiful mustard Malabrigo yarn. It's so soft and cosy and while it looks complicated, it wasn't! I'm knitting a baby set for Jacqueline, who is due at the end of November. 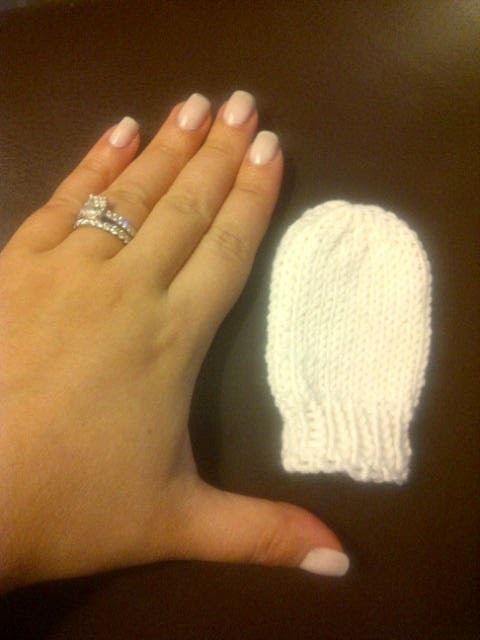 Here's a shot of the itty bitty baby mitten. 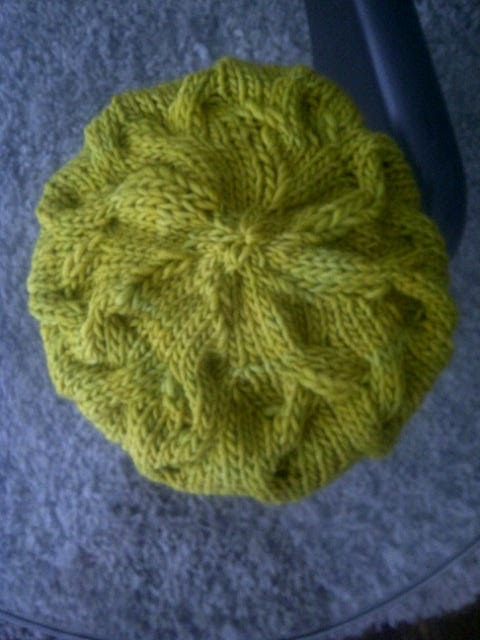 I've also done a hat! Phew! There we have it - the Reader's Digest version of what I've been up to lately. 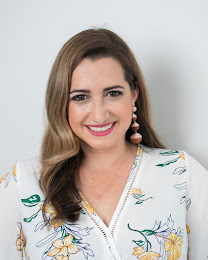 I promise to update more frequently and make the posts shorter! 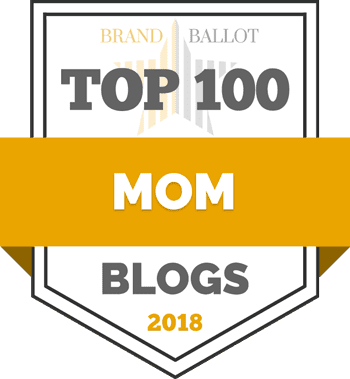 But so much to share!